Mix everything together except breadcrumbs. 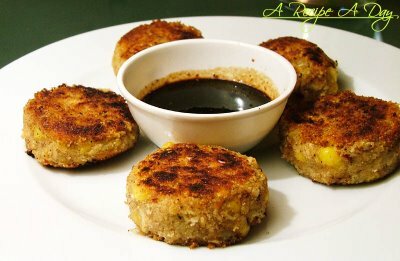 Make tikkis and roll them into breadcrumbs. Shallow fry them till crisp golden layer. Serve hot with imli chutney.